I routinely hear three things from students – and their families – when they visit campus to talk about attending the University of Central Florida. The first is that our modern, beautiful campus “already feels like home.” The second is that UCF offers a personal touch to students more commonly found in much smaller institutions – even though we are the second-largest university in the nation. The third topic that students and families talk about is the cost of a college education. When addressing cost, my answer is simple: Consider cost, but also focus on value. When you focus on value, the benefits of a college degree are clear: A college degree continues to be the most important investment you can make for a successful career and a brighter future. From 2007 to 2012, during very tough employment times, people with baccalaureate degrees as a group experienced no net loss of jobs. Those who did not attend college, as a group, experienced a 10 percent decline in employment. And a UCF degree, in particular, is an excellent investment that is affordable and valuable. For example, The Princeton Review, one of America’s best-known education services and test-preparation companies, has joinedKiplinger magazine in ranking a UCF education as one of the best academic buys in the nation. Being a “best buy” has helped 49 percent of our students graduate without any UCF educational debt. Nationally, just 33 percent of students graduate debt-free. And despite recent tuition increases across the state, Florida universities still have some of the least expensive tuition costs in the nation. The cost of an education at a Florida state university ranks 45th in the nation. This means students have an opportunity to receive an outstanding education at one of the most affordable prices in the country. Students and their families, however, know there is more to college costs than just tuition. Student fees fund important projects such as computer labs, academic services, recreational facilities and more. These are services that students expect and also add value to their overall educational experiences. Further, UCF students play a key role in approving fees. Committees equally divided between students and employees annually review most fees, and students hold the tie-breaking vote in most committees. At an affordable campus that “already feels like home,” UCF students learn to succeed in their studies, the workforce and in the community. 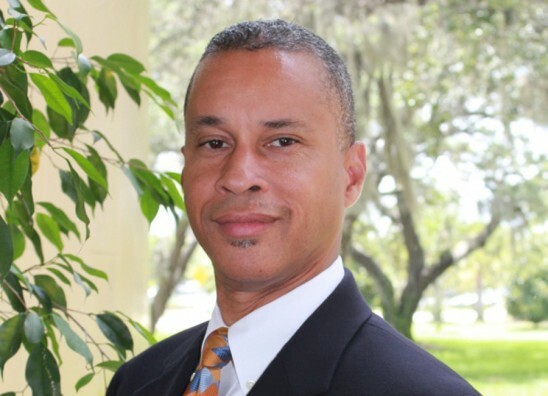 Dr. Gordon D. Chavis is the University of Central Florida’s associate vice president for Undergraduate Admissions, Student Financial Assistance and Student Outreach programs. 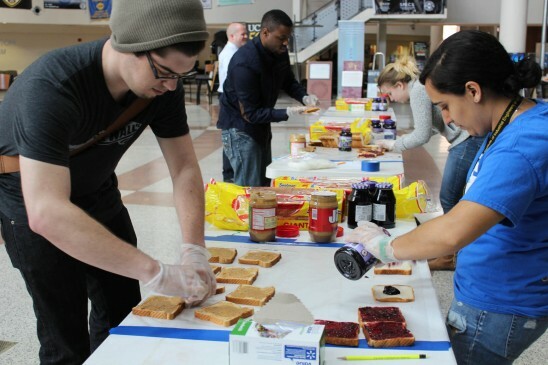 UCF student engineers race to make hundreds of PB&J sandwiches to feed the homeless. Members of the Institute for Industrial Engineers at the University of Central Florida today made 327 peanut butter-and-jelly sandwiches in an exciting sandwich-making competition. The event challenged participants to find a partner to design a production process and race to make the most – and best – sandwiches to donate to The Coalition for the Homeless of Central Florida. Teams of two worked together to make the sandwiches in the limited time permitted. The event employed industrial engineering practices to ensure high-quality sandwiches that were neatly made, had consistent weight, and were prepared and packaged safely. Hosted by the UCF chapter of the Institute of Industrial Engineers, this event was part of Engineers Week at UCF, Feb. 18-22, and is also a celebration of UCF’s 50th anniversary. The UCF College of Engineering and Computer Science (CECS) – with more than 24,000 alumni – is one of the university’s original colleges. The week has featured a variety of fun, visual public events & activities on UCF’s main campus, planned by CECS student groups, to showcase the fact that just about every modern convenience is possible because of engineers. Engineers Week is sponsored nationally by the National Engineers Week Foundation and celebrated on every U.S. engineering college campus and within businesses that employ engineers. Visit http://cecs.ucf.edu for more information. President Barack Obama delivers the State of the Union Address (Official White House Photo by Chuck Kennedy). The University of Central Florida scored well in all areas of a new college-affordability scorecard announced Tuesday by President Obama during his State of the Union Address. The website created by the U.S. Department of Education shows which college may be a good fit for students as far as affordability, graduation rates and other information. For example at UCF, it typically costs $12,358 a year for undergraduate, in-state students to attend. According to the College Scorecard, that net cost falls in the “low” range of costs. The net cost includes housing, transportation, books and personal expenses, and grants and scholarships (financial aid that students don’t have to pay back) are subtracted. The statistics also show that the amount of money students typically borrow is in the “low” range. About half of UCF’s undergraduate students graduate with no debt. Meanwhile, UCF’s six-year graduation rate listed in the report is 62.7 percent, which is in the “high” range of the scorecard. UCF’s most recent six-year graduation rate is 65.1 percent. The interactive College Scorecard also can categorize educational institutions based on majors offered, location, enrollment size and other factors. The scorecard is athttp://collegecost.ed.gov/scorecard. UCF regularly earns ratings as one of the nation’s “best value” universities. The Princeton Review recently picked UCF as one of the top 75 public universities in the country based on academics, cost of attendance, faculty-to-student ratio, graduation rates and estimated debt, and Kiplinger magazine in December ranked UCF 42nd on the list of best college values in the country. Four years ago, 41 pioneering students took a chance on an upstart University of Central Florida medical school opening in temporary facilities. The class became the first in U.S. medical school history in which every student received a full scholarship, thanks to generous donations from the Central Florida community. However, the students enrolled knowing they would not find out until a few months before graduating whether the college would earn the full accreditation necessary for them to advance to their residencies and begin pursuing careers as doctors. Those pioneering students can now celebrate. The UCF College of Medicine has earned full accreditation following a rigorous, independent review of its educational program. “This achievement is a credit to the efforts of our outstanding College of Medicine staff members and faculty members. They are preparing our students for a lifetime of providing high-quality, compassionate care,” said UCF President John C. Hitt, who made the announcement at a news conference Monday with Dr. Deborah German, vice president for medical affairs and founding dean of the College of Medicine. Earning full accreditation has been one of German’s top priorities since she was hired in December 2006. She recruited top faculty members and community partners who collaborated with her to set up an innovative curriculum, and she oversaw construction of the college’s state-of-the-art facilities at Lake Nona. The curricula and facilities are both key components of earning full accreditation. Full accreditation is the first in a series of milestones this year at the young medical school. On March 15, members of the charter class will participate in Residency Match Day 2013, when students learn where they will attend their residencies. The charter class will graduate on May 17. The college selected the 41 charter students out of more than 4,000 applicants. The medical school opened in 2009 in temporary facilities near the main UCF campus. In 2010, the students and faculty members moved into a $65 million, 170,000-square foot medical education building at Lake Nona that includes state-of-the-art labs, classrooms, technology and a library that is 98 percent digital. Today, the College of Medicine is the centerpiece of a growing Medical City that also features the Sanford-Burnham Institute for Medical Research, Nemours Children’s Hospital, the MD Anderson Cancer Center, the VA Hospital, and a University of Florida research facility, among other buildings. Together, UCF and its Medical City partners are projected to create 30,000 jobs and an annual economic impact of $7.6 billion by the end of 2017.